I was finally feeling back to my normal self on Wednesday after being sick. I decided to get back out and go for a run since it was 70-degrees and I needed to build my stamina back up before Saturday. This run felt rough, and my body wasn’t 100% into it. I decided to stop at 2.2, which was only .3 under the planned run. I’ve learned to be proud of every single run I complete even if it’s short, slow, or didn’t go as planned. Kyle and I did an evening walk with the dogs before having dinner. I made my vegan enchiladas with the Casava flour tortillas from Siete. I had carrots, avocado, and Chive Kite-Hill on the side. Thursday breakfast: spinach salad with balsamic, raspberry Lava yogurt with protein powder added, and a side of Bearitos! The Bearitos are soooooo good. I can’t wait to add them to a bowl of chili. 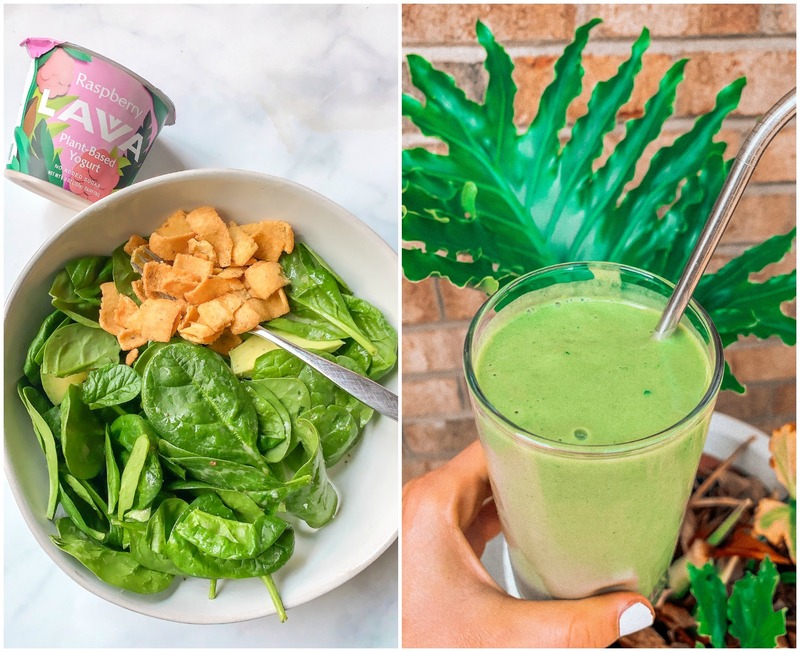 Thursday lunch: fresh spinach, unsweetened almond milk, one scoop vanilla protein powder, frozen banana, frozen mango, and ice. 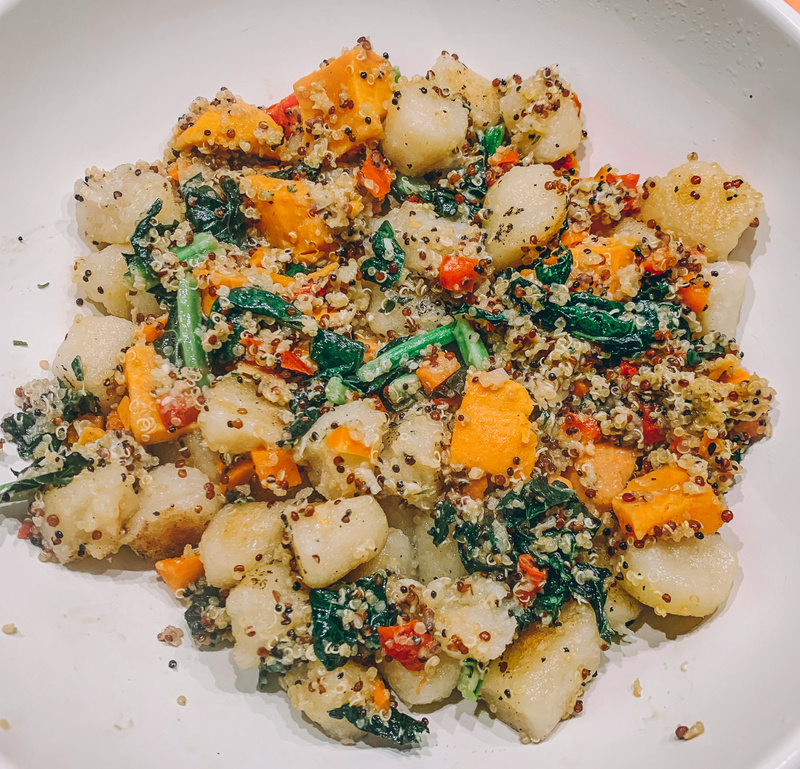 On Thursday night, I baked up the Trader Joe’s cauliflower gnocchi and added it the kale and quinoa mix. I mixed in the Kite-Hill chive cream cheese to add more flavor. I met up with my mom on Friday afternoon for lunch. 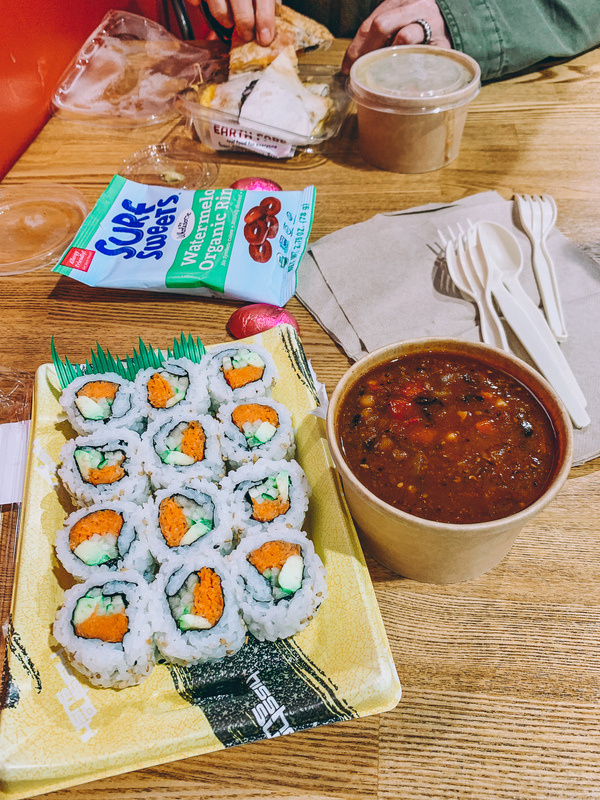 We headed over to Earthfare to get soup and sushi. I had their vegetarian chili and sushi on the side. My mom had the quesadillas and chicken & dumpling soup. I’m not sure who’s combo was weirder. 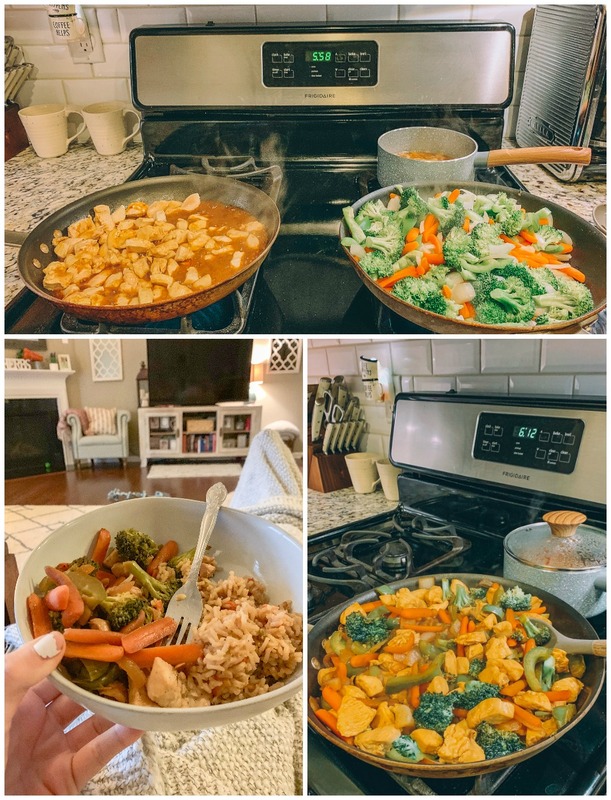 I made chicken and vegetable stir fry for dinner on Friday night. 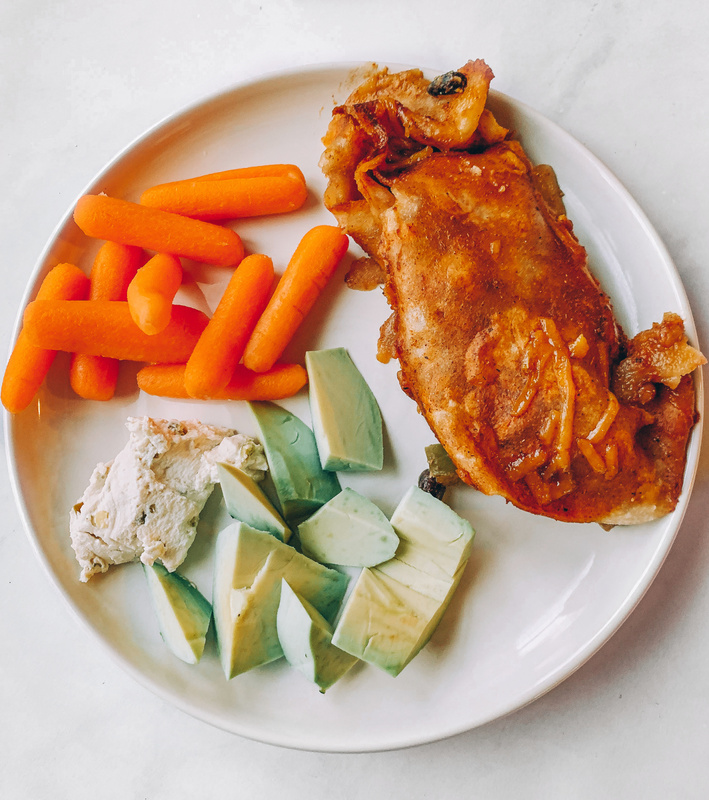 I hadn’t made it in a while, and it’s one of our favorite dinners. We watched movies on Friday night, and I headed to bed early because I needed to wake up early for my run with Meighan. 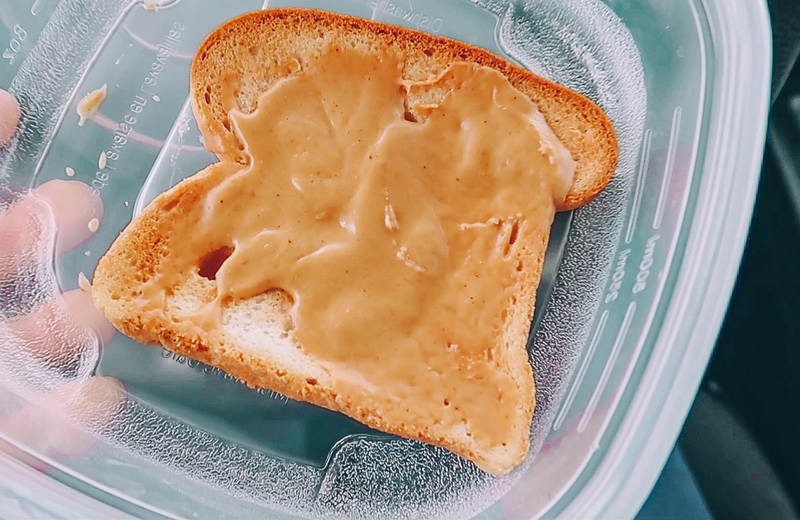 After having my coffee, I made a slice of peanut butter toast and headed out the door for my run with Meighan. 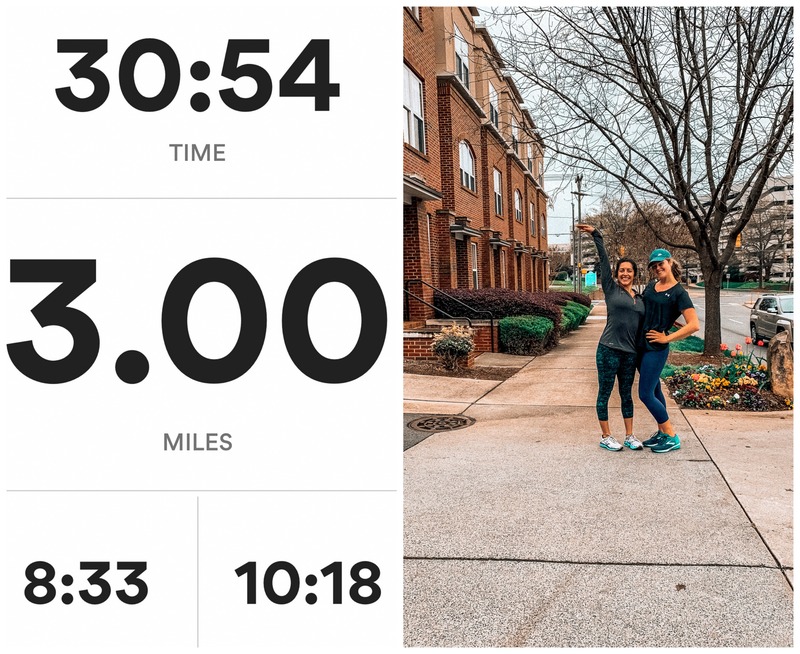 She was in town for one of her friend’s birthday parties, and we decided to fit in our run. We had planned it for last Sunday, but we got rained out in D.C. The run was beautiful! Spring is in full swing here in Charlotte. I forgot how much I love running with her! 😢 It’s so much easier to feed off of the energy of a running buddy rather than run alone. It felt so dang good to hit three miles again finally, and I felt so good about it. It wasn’t a struggle, and I didn’t feel like I was pushing myself at all. 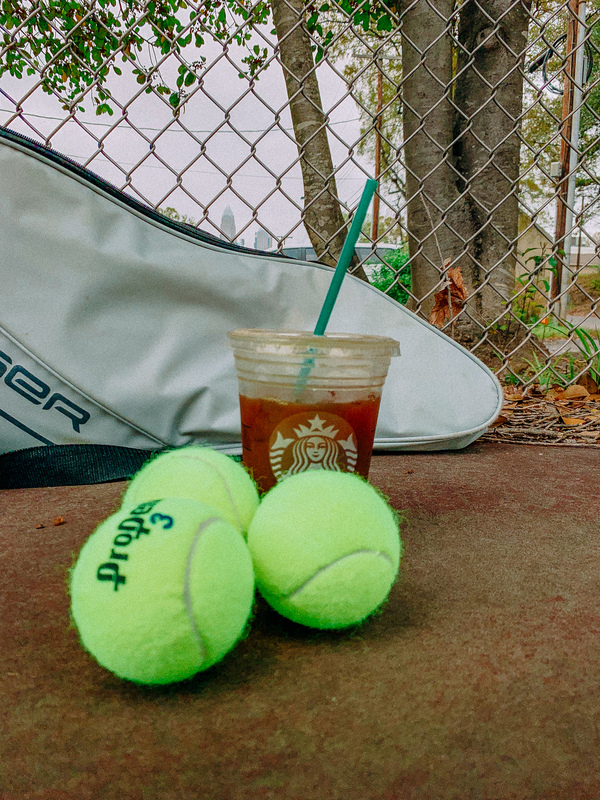 After my run, I headed to Starbucks to pick up an iced coffee before tennis. I knew after three hours of tennis; I was going to need some coffee! 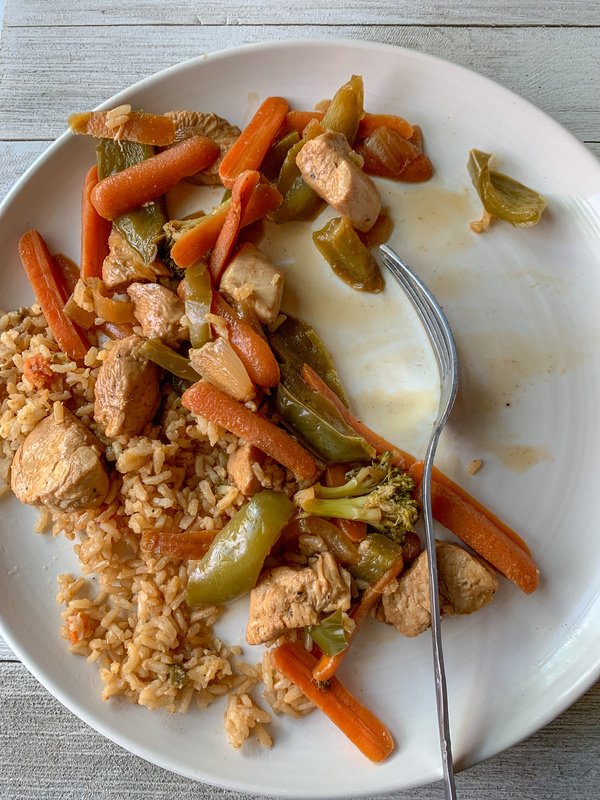 I got home around 2 pm and had leftover stir fry for lunch. We decided to bring the dogs over to my parent’s house on Saturday evening to around in the backyard. And when my parent’s say they are making salmon and grilled vegetables, it’s the way to my heart. Sunday morning breakfast: fresh spinach, unsweetened almond milk, one scoop vanilla protein powder, frozen banana, frozen mango, and ice. 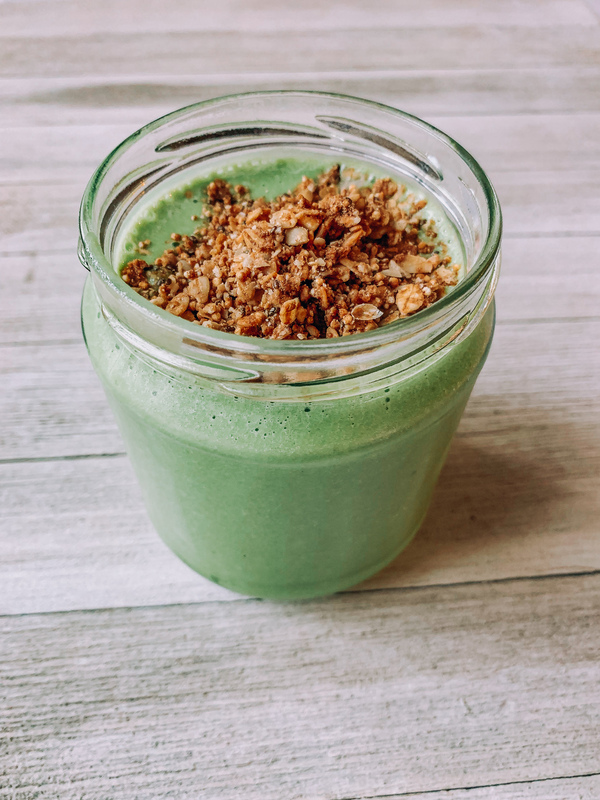 I love topping my smoothies with Purely Elizabeth granola! Becca and I had plans to go for a long trail walk on Sunday morning, but we got rained out. I wasn’t mad about it because I didn’t feel like doing anything active. We decided to hit up the movies instead! 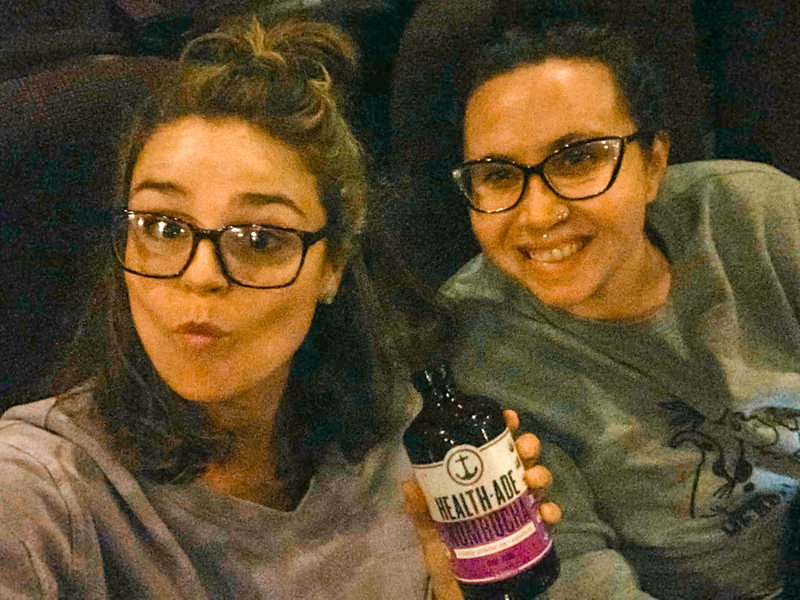 We headed to Target to get movie snacks first, and then made our way to the theatre to go see “US.” We had the whole movie theater to ourselves. Ohhhhhh and if you’re wondering, the movie was really good!! I definitely recommend it. I love a good mix of horror and humor. Do you have any fitness goals for this spring? Your pizza looks yummy!! 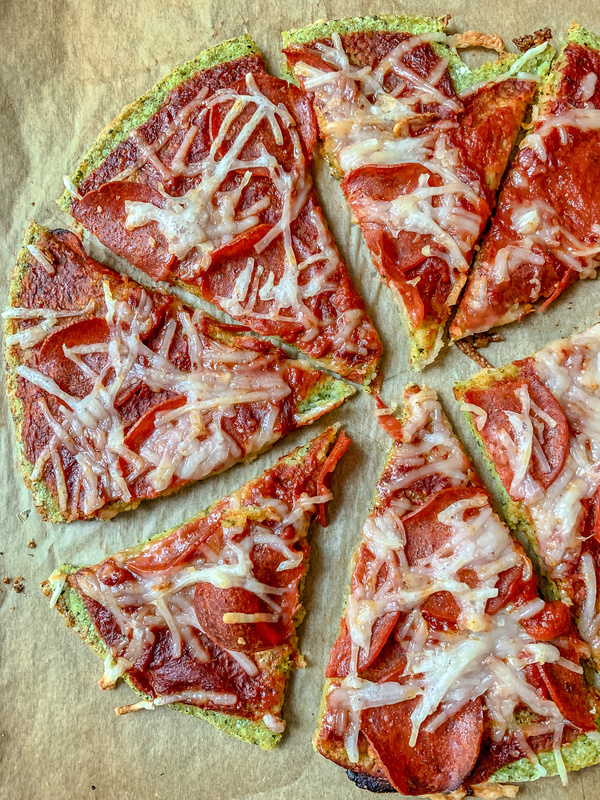 I saw you used the Trader Joe’s crust and I wanted to share my absolute favorite “cheese” for pizza and grilled “cheese” is the almond cheese shreds from Trader Joe’s! I love reading your blog! I didn’t even know they had those! I’ll look out for them during my next TJ visit! Thank you so much, Jami! Weekend in one word: SNOW – I have to elaborate though…. FL girl here went to CO for skiing and it snowed and it was just an amazing weekend!! Favorite movie theater snack? I don’t have one actually.. I couldn’t even tell you the last time I went to the movies! Fitness goals for spring – get my leg muscles stronger (I was so sore when skiing). be active at least 5 days a week, start swimming when my pool warms up! Sounds like a great goal!! 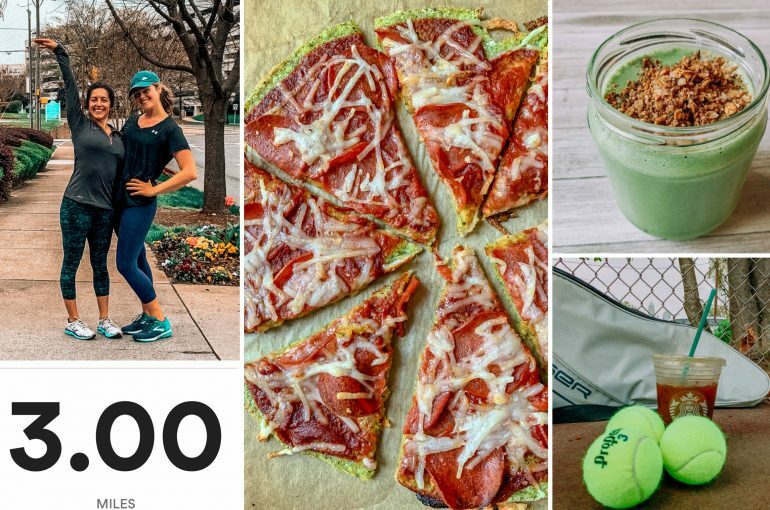 Are you going to do your post on weight loss and Q&A you asked about on IG a while ago? Really looking forward to that one and hope you can share your journey. 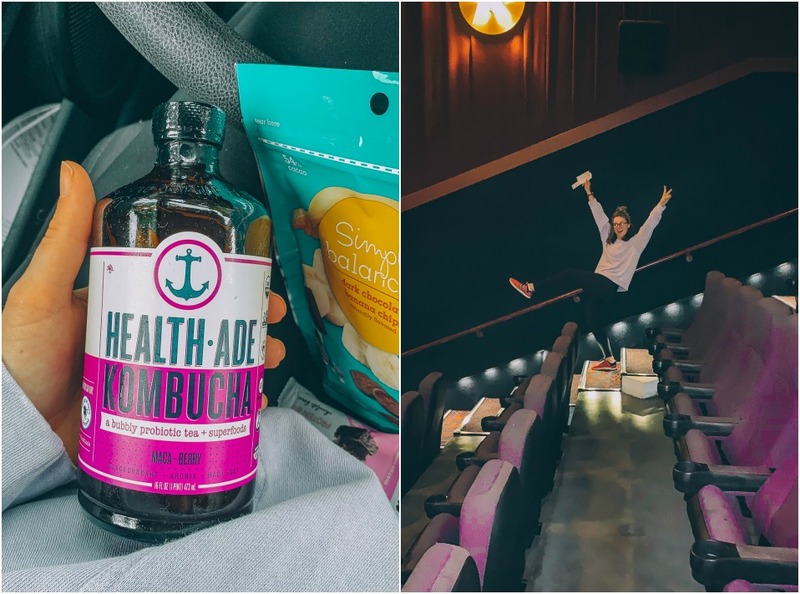 Great options for the movies!! Ahhhh so happy you went to D.C.! It’s so gorgeous this time of year!! I can’t wait to see your blog about it. How long have you and Becca been friends? I miss hearing about your adventures together! I love sour patch kids, m&ms and cool mints mixed in with my buttery popcorn. My goal for April is to focus on my home business. Hi, Tess! A little over 4 years now! 😃 Life has been busy but we try to get together whenever we can! We have a fun annual adventure coming up soon! Ohhhh sour patch kids are amazing! Fantastic recap! Great to hear your feeling better, food poisoning is horrible. And your running progress is awesome. Please do a blog post with your running program. My weekend in one word: Hiking, and probably the same next weekend. Favourite movie snack would have to be trail mix. This spring I want to do more swimming my aim is to do 1km in under a 40minuts, so going to work out a training plan this week. Hope you have a fantastic week! Sounds like such a fun and active weekend!! Awww raisinets for the win! My weekend was AWESOME! Friday I hung in with my hubby- we watched movies and had grilled cheese in bed! Saturday we celebrated a few birthdays with an escape room (we didn’t escape…) and a nice dinner! Sunday I ran with my running club and then we had an egg hunt at my best friends. It was a really good time overall! Sounds like your weekend was awesome too! 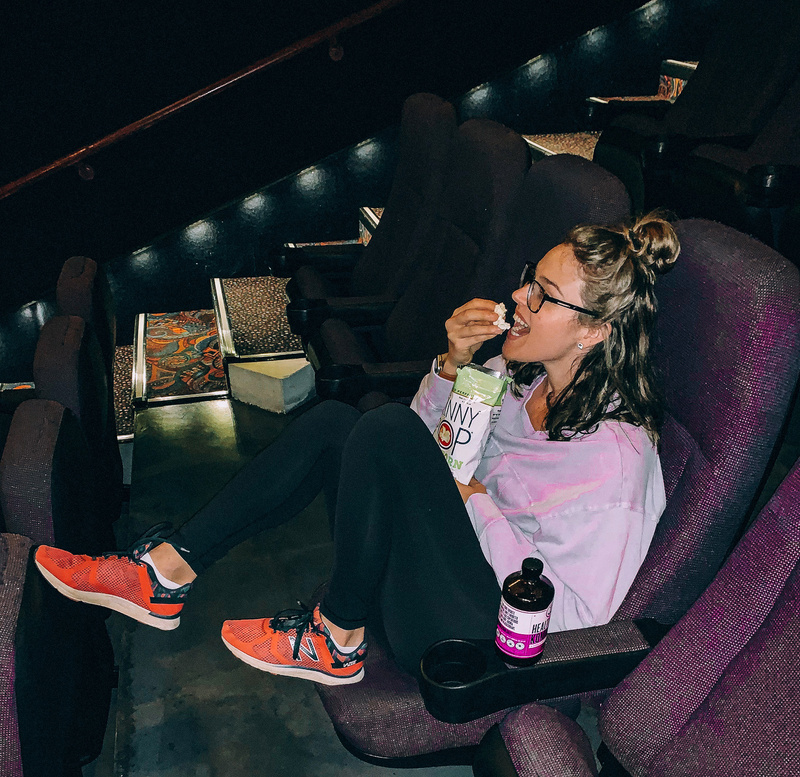 My favorite movie theater snack is popcorn and a cherry coke- I know it’s not healthy, but I don’t go to movies that often so I feel like it’s okay to indulge in the sugary pop and popcorn! Every spring I run the pittsburgh full or half marathon, this is my 10th year running one or the other! Doing the half this year, and I know I can easily do it, but it’s still a goal and an accomplishment every year. Something about the crowds here cheering you on just being so much joy to that race! Keep up the positivity – your happiness is truly contagious! I’m also glad you’re feeling better. Food poisoning sounded awful! That sounds like the PERFECT movie theater snack. Kyle and I usually get diet coke when we go to the movies too! That is amazing, Emily! What an inspiring tradition to have. I’m excited to hear all about your run this spring! Do you ever eat cereal? yes, I actually love cereal. Honey nut cheerios with blueberries and almond milk are my favorite! 😀 I usually eat it more in the summer when I’m not craving oats. Can you make a video about how you edit your pictures? They are always so vibrant! 2. Gummy worms all the way! I’ll try to add some of that in my next DITL video! Not a bad way to spend the weekend. Gummy worms are the best!! Especially with popcorn! 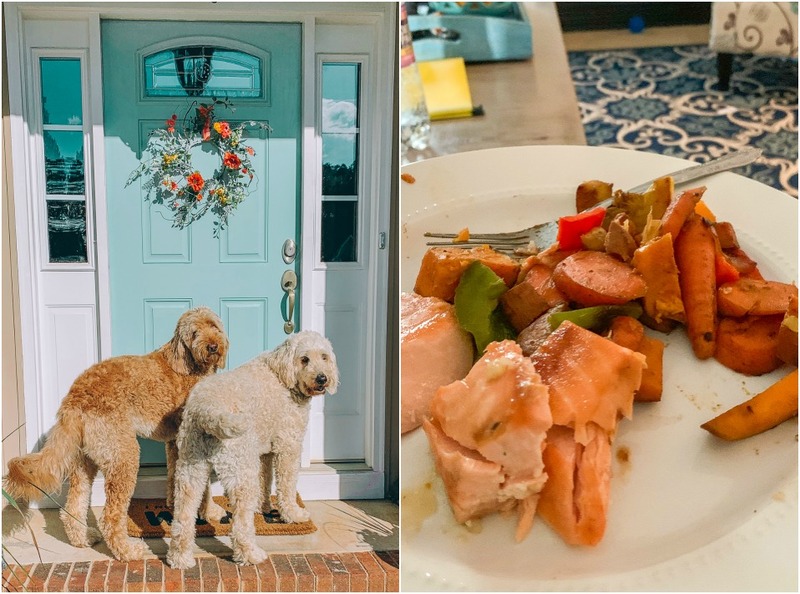 When I feel like I want to lose weight or look more toned, I just focus on “eating better and being more active” rather than setting my goal to “lose weight” and for some reason that works way better and I feel less frustrated through it all. Awww that is so awesome. Always great to have a running buddy! Leo does one mile with me as well! So happy for you working your way back up in running! The warmer weather has made me want to get back out for runs more. But I’m still a little ways from doing 3 miles again. 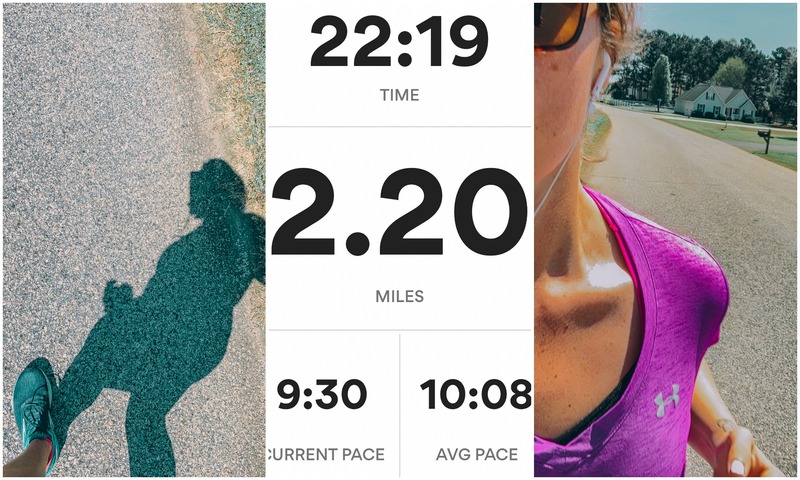 I used to run a LOT of half marathons, so I understand how important it is to build slow! I think the warmer weather has definitely inspired me to get out there! It’s crazy how we can go from running long distance to not being able to run three miles when we take time off. I think that’s what makes it hard when it comes to getting back into it! You’re so right about building it up slowly. It’s been so long since I’ve been to the cinema… guess I should catch a movie soon! Haha! Ohhh love the idea of bringing in grapes to the movies! !